This entry was posted on November 30, 2012 by Sports Traveler. The 2012 season has came and went. The season ended with a fury for some and a fizzle for others. Brad Keselowski captured his first Sprint Cup championship and Jimmie Johnson came up short on his quest for a sixth championship. The season literally ended in a fury for Jeff Gordon and Clint Bowyer. Some contact at Phoenix turned into a forced accident which then transpired into an all out brawl that left Gordon at the bottom of a pile of members from both teams. Pretty exciting stuff for NASCAR junkies. Gordon, who most thought should have been suspended, then won his first career race at Homestead the following weekend. Interestingly enough, Bowyer finished in second place in the standings and just 39 points behind Keselowski. NASCAR got lucky that the point differential wasn't close enough that Bowyer could blame Gordon for not a having a legitimate shot at the championship. In the end I would just call it a "no harm, no foul" situation. This season is now in the history books so lets get up to speed with some new things starting at Daytona in February and brief look at the upcoming 2013 NASCAR Sprint Cup schedule. The biggest news coming from NASCAR garages is the release of the new Chevy SS body style that will be used in place of the Impala. According to the Boston Herald, Chevy will release the new SS to the public around the time of the 2013 Daytona 500. The Daytona 500 will also be the first Sprint Cup race for the SS body type. Lots of people, including tony Stewart, are really excited about the new Chevy SS. 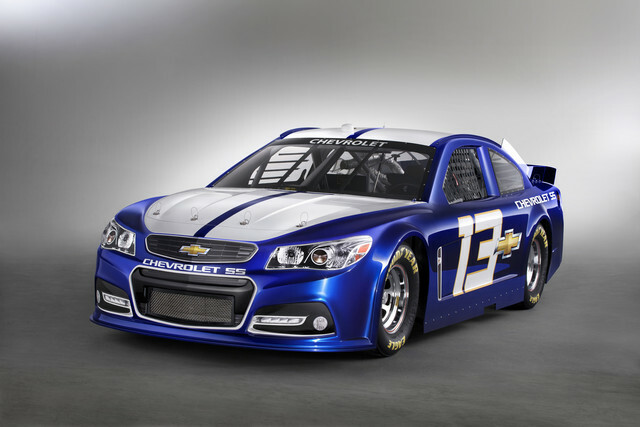 The Chevy SS won't be the only thing new on the Sprint Cup circuit in 2013. Danica Patrick will begin her first full season in Sprint Cup in 2013. Regardless of what you think about Patrick, she has certainly earned her way to a full time cup ride. It is hard to compete for a championship in the Sprint Cup and she is a long way from being a contender. However, she has put together some decent finishes in the NWI series and she looks to have the potential to win some races in the Sprint Cup. It is great for the sport to have Danica in a cup car every week and it would be great for the fans to see her make a big splash in her rookie season. Although she is far from a rookie when it comes to experience in a race car. There aren't too many changes this year to the schedule but take a moment to see what 2013 will have in store for NASCAR nation.